While there is a relative shortage of accurate information about the finances of the Imperial era, it is assumed that state expenditures of the Roman Empire were first and foremost devoted to military payments. It is estimated that these expenditures most likely accounted for half of the revenues of the Empire. Whatever these revenues may have been they were eaten up so quickly that often taxes were increased (or invented) depending on circumstances (Southern, 75-76). For the average legionary, military life was not a life of great wealth, even though “[Roman] soldiers formed part of the rare salaried class in antiquity” (Bohec, 209). The appeal of legionary life did not lie in an opportunity to earn a large fortune, or even anything resembling affluence. Why then did so many young recruits volunteer for service under rather unappealing conditions? The answer lies in looking outside of the military: conditions of daily life were not much better. When under military service, a “[soldier] could…look forward to regular meals, pay, and free medical treatment form an army doctor” (Herz, 307). Each soldier’s level of pay was blatantly uneven and not dependent upon task difficulty or capability, but upon social status (Herz, 308). Polybius provides the first indication of the amount of a legionary’s stipendium (pay that initially covered a six-month time period). He states that legionaries received two obols daily, centurions double, cavalrymen a whole drachma (Brunt). Polybius’s drachma is taken to mean the Roman denarius which is the equivalent of 10 asses (Brunt). It has also been noted that the stipendium is not so much the equivalent of a modern day wage, but more a credit record to compensate for costs incurred by a legionary during the term of service, i.e. clothing, food and arms supplied by the Empire (Brunt). One example of deductions made for a soldier’s foodstuffs over the period of service indicated that “state deductions for provisions were usually higher than their cost, and that the state normally made a profit” (Herz, 311). The assumption has been made that generally, about two-thirds of a soldier’s gross income was kept back and remained under the control of the state (Herz, 311). Perhaps the most distinct example of pay deductions can be seen in a young recruit—with the necessary supply of weapons, clothing and food, a new legionary incurred a large deficit that could only be paid off after a few years of service (Herz, 314). Although the costs of maintaining a functioning army were certainly the largest portion of the Roman budget, the political and economic benefits provided by the army’s existence cannot be translated into a financial figure. The stability and security provided by the army both internally and externally, as well as the valuable contributions to the infrastructure of the Roman Empire are astronomically important to the history of the Roman state, and “represented the largest organized and qualified work-force that was present throughout the empire” (Herz, 319). Though it was costly, the value of the Roman army was well worth the price required to sustain it. Bohec, Yann Le. The Imperial Roman Army. Trans. Raphael Bate. Routledge, 2000. Print. 28 Feb. 2012. Brunt. P. A. “Pay and Superannuation in the Roman Army.” Papers of the British School at Rome. Vol. 18. British School at Rome, 1950. Pg. 50-71. Web. 28 Feb. 2012. http://www.jstor.org/stable40301480. Southern, Pat. The Roman Army: A Social & Institutional History. New York: Oxford University Press, 2007. Print. 28 Feb. 2012. Wikipedia contributors. 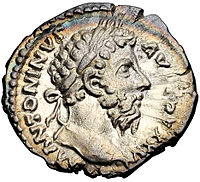 “Denarius.” Wikipedia, The Free Encyclopedia. Wikipedia, The Free Encyclopedia, 27 Feb. 2012. Web. 28 Feb. 2012. Wikipedia contributors. 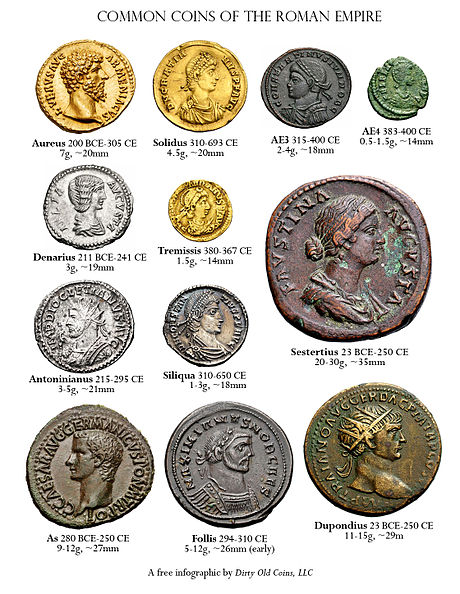 “Roman currency.” Wikipedia, The Free Encyclopedia. Wikipedia, The Free Encyclopedia, 24 Feb. 2012. Web. 28 Feb. 2012.